A gasket is a piece of formed material that seals the space between two mating surfaces, particularly when the surfaces are irregular (like between the engine block and a cylinder head). Gaskets maintain fluid pressure and compression. These seals come in all shapes and sizes, and are often custom engineered for specific application. 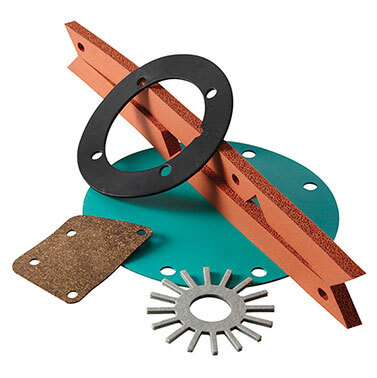 Whether you need brand new gaskets for a new piece of machinery or you're replacing old, worn out gaskets, J Royal can supply gaskets of many shapes and sizes, as well as different materials to cover your sealing needs. With the ability to produce small sample runs and high production usage, J Royal has you covered.